Do you ever think that things were better decades ago? Do you feel nostalgic looking at vintage postcards depicting city life with happy-go-lucky people, a shopping mall with a orange and brown color scheme or the latest and greatest town monument? Here are eight Swedish postcards from the golden era of urban-living that does just that for me. 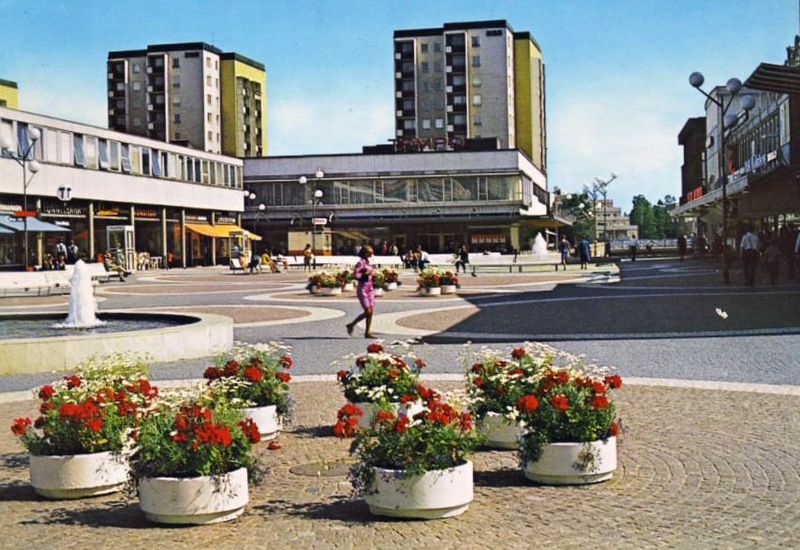 The 1960s and 1970s in Sweden were famous for its grand ideas for new city centres – and with them came the demolition of sometimes entire neighborhoods. All to make space for department stores such as Domus, Tempo and Epa. Sometimes, they would even be lined up next to each other like massive concrete soldiers on the best locations in major Swedish cities, which in the end led to a paradox that made them selves go out of business some decades later. But that’s a whole another story.